Words, Beats & Life does chess and hip-hop better than ever! 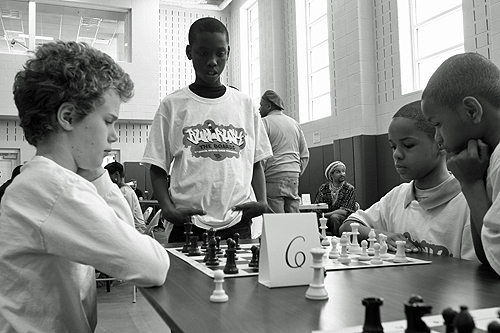 Bum Rush the Boards has opened up registration and invites every chess-head and future grandmaster to show off their skills in friendly competition and some hip-hop fun. Think of all the references to chess you hear in hip-hop music. Wu-Tang Clan, Jay Z, Public Enemy, T.I., just to name a few, all reference the game. There’s a reason we started this in 2005 and it continues in 2014! The annual event is on its 9th year and is gearing up to provide competition and give the participants a little background knowledge of the game and hip-hop culture. As many already know, the event is based off the connection between the two, the competitive spirit and the power to think smart. In both, one must think ahead of the game, be quick and precise, while being ready to accept any challenge. Bum Rush will also feature S.T.E.M. (science, technology, engineering, mathematics) sessions in between games to create a diverse experience for all the attendees. Participants can take DJ lessons and learn how it connects to engineering, find out how the art of rap and science connect, discover the geometrics of breakdancing. There will also be an art display of our life-size custom designed chess pieces. Last year’s players enjoyed a day of food, free shirts, and lots of fun. Watch footage from the 2012 event and then sign up to be at this year’s. ~Words, Beats & Life, Inc.
from Words Beats & Life on Vimeo. Saturday, December 6, 2014 from 10 a.m. to 4 p.m.
Great volunteer and good health food. Nice Sophie miss you much and good to hear from you, This is da LEARNIN BITNESS!!! lol, Peace. 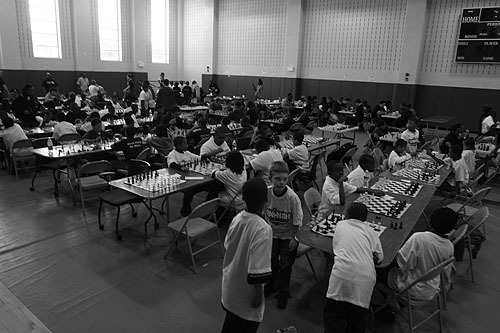 Lookin forward to meeting many of theses young players in the future, either OVER- THE – BOARD or on the Internet where ill make my ‘Competitive” Return probably the ICC cuz i just got booted from Chess.com i guess they wasnt feelin my ULTRAMODERN POINT OF VIEW!!! I guess my chess is a bit unusal in some ways to them.